As the roll wheel on the rollers wear out. 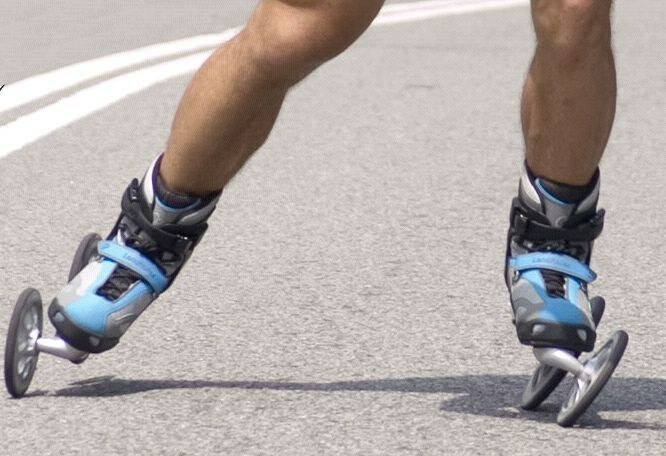 This has a negative impact on the behavior of skates and durability of the rollers. In addition to replacing worn out wheels, one or two times per season it is also necessary to completely disassemble the bearings, clean them and lubricate. Replacing the wheels on roller skates takes no more than 5 minutes or a little more for those who do it for the first time. Replacement wheels with bearings maintenance – about half an hour. When the wheels are removed carefully, try to memorize the order of removing parts, then there is nothing left of "extra" and nothing is lost. Take videos and turn them up frame. Unscrew with a hex wrench (or two wrenches) the bolt securing the wheel to the frame and remove it. Please note that this mounting bolt is responsible for adjustment of the wheel. To change the height of individual wheels need to rotate the bolt in one direction or another. To install the wheels again take a roller skate frame up and put wheel in its place so that the dull side (if the wheels are not new) were outside. Long axis holding the regular brake, put exactly in its place. Then a hex bolt to adjust the height of each wheel so that all wheels are in the same plane. If you want to change to service the bearing, remove and disassemble it. To do this, press any hard blunt object on the edge of the sleeve so that it began to move inside. You can act with the same key used to Unscrew the wheel. Be careful that the key is not slipped and has not damaged the inner part of the bushing. When the sleeve starts to move, it involves the opposite bearing. The remaining bearing can be removed much easier. Disassemble the bearing. For this purpose a thin nail or piece of stiff wire and pry the edge of the metal ring that secures the bearing cover. Typically, the ring is already cut by the manufacturer so that between the two there is a gap. Using pliers pull the end ring to gently pull it off. Try as much as possible to deform it. After removing the lid you can see the bearing balls in the grease. If the wheel is not new, the grease is dirty, so you need to clean the bearing and replace grease. Inspect all the balls. If they're whole, move on to cleaning and lubrication. If at least one of them collapsed, it must be replaced with a ball from the other, exactly the same bearing. Or replace the whole bearing. To clean use junk toothbrush or any other suitable object. Very dirty bearings can be pre-soaked in gasoline. As a new use grease Litol, grease, sludge special grease for roller bearings. To assemble the bearing to close the metal ring: stick one end of the ring to its former place, the other end insert to the edge of the ring and fasten. If the ring is deformed during disassembly, place it on a solid flat surface and straighten with a hammer. Using the same hammer to press the bearings on the hub of the wheel.